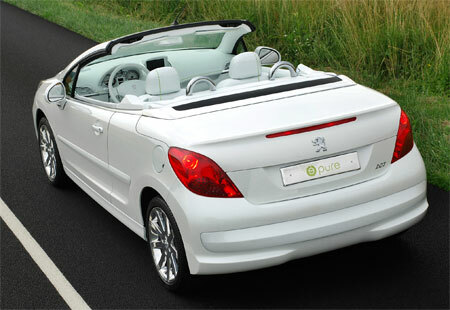 There will be alot of exciting unveilings at the 2006 Paris Motor Show the end of this month, and this is yet another one – the Peugeot 207 EPURE Concept car. 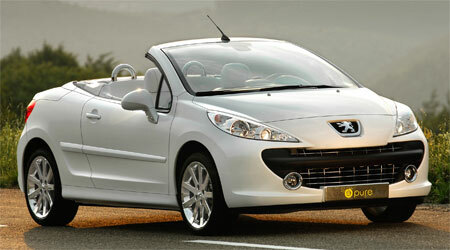 From the looks of it, this will likely be the concept that a Peugeot 207CC will be based on. The concept car for the 206CC called the Peugeot 20CC was unveiled at Geneva 1998, and the real production Peugeot 206CC was launched in 2001. 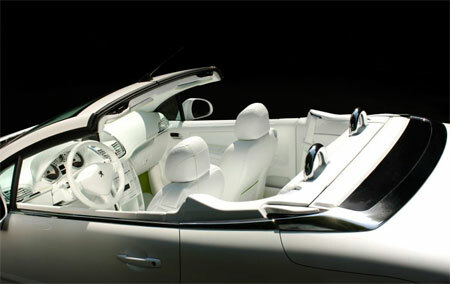 Since then, it has been the best selling convertible car from 2002 to 2004 as well as the best selling Coupe Cabriolet in 2005. 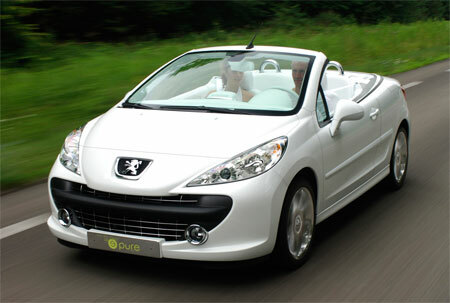 Over 350,000 Peugeot 206CC cars have been built since it’s launch. 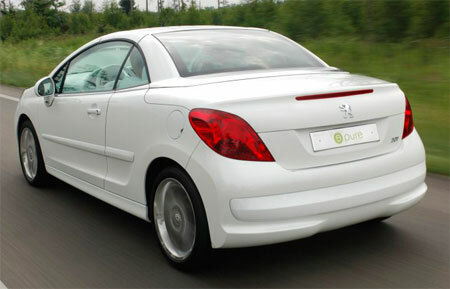 The Peugeot 207 EPURE adorn in a nice pearl white colour is not all looks and an automatic folding roof though – this little baby has a fuel cell motor under it’s hood. 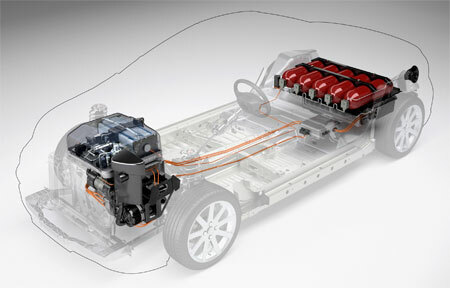 The EPURE has an electric motor (40kW normal power, 70kW max power, 180Nm torque) combined with a Peugoet GENEPEC 20 experimental fuel cell (20kw), designed by Peugeot in partnership with the French Atomic Energy Commission. This futuristic powertrain gives the Peugeot a 350km range, a 0-100km/h acceleration time of 15 seconds and a 130km/h top speed.